The Day 1a GUKPT Grand Final is now in the books, it’s been a great days poker with their being an increase of 25% on last years numbers. 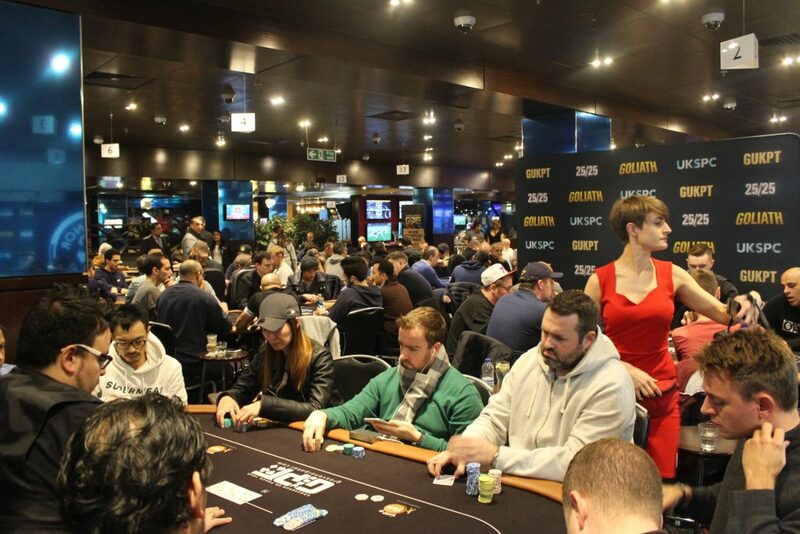 After the six levels of late reg the tournament brought in 122 entries, 100 entries and 22 re-entries. 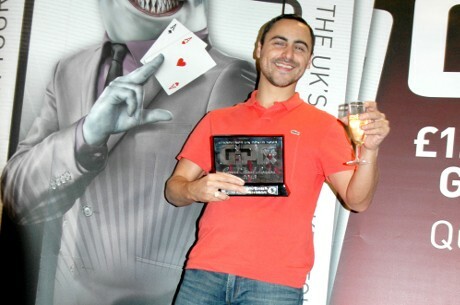 The day has flown by as ten levels have been played in one of the best poker rooms in the UK. 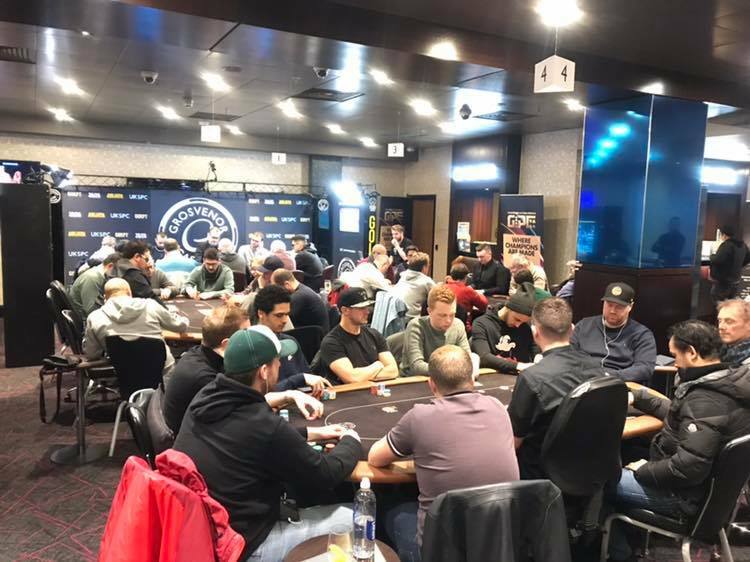 We will be back tomorrow from noon with the poker starting at 1pm, another ten levels will be played and live streamed tomorrow so join us then. Chip counts will be up as soon as possible. 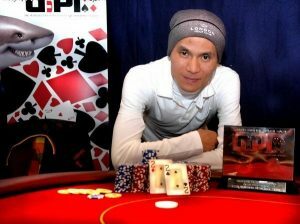 Players will now play three more hands before bagging and tagging. No action to speak of during the last 30 minutes or so as players lock up trying to make Day 2. 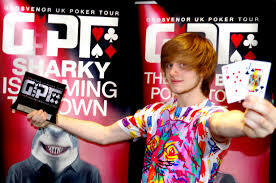 With a 25% increase today, if we get the same tomorrow we could be looking at the biggest GUKPT Grand Final ever!! 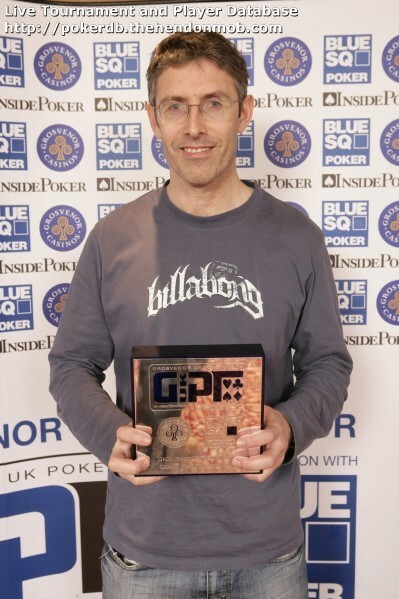 Paul Barnes and Terry Jordon our the two chip leaders with around 130,000 each. That’s over 6 starting stacks. Paul got most of his chips in a three way all in holding ACES against the KINGS of Iwan Jones and A-K of John Mooney. Both players are in great shape with a level and a half left to play today. 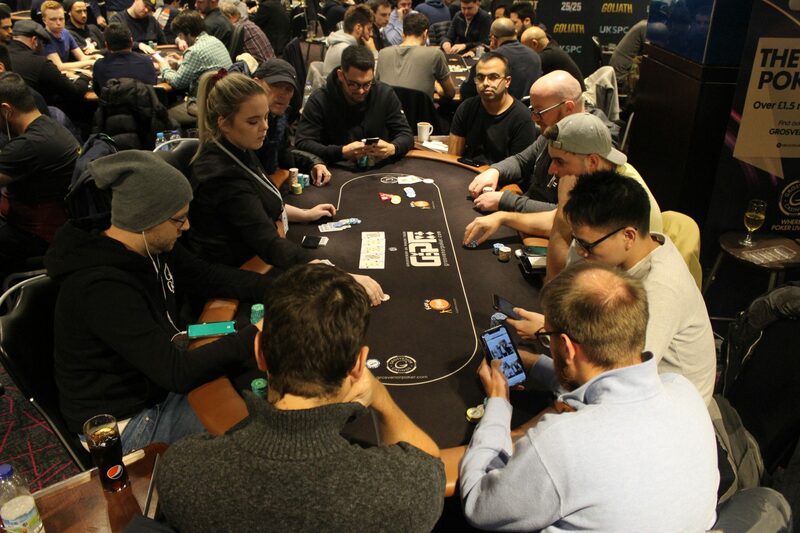 The players are back seated as we begin the last session of the day. Blinds are now 400/800 with a 100 ante. The players below will need to coe back tomorrow if they want to try and get a slice of the prizezpool which is sure to be over £600k!! 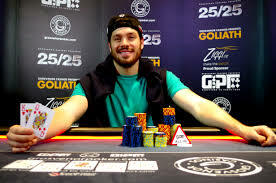 Terry Jordan is the chip leader with around 115,000 here during level number 7. 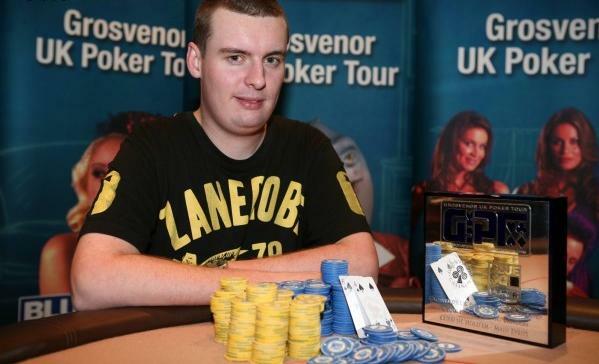 We’re going to get a few chip stacks now from around the tables. 122 entries today with 84 players remaining. Players are now on a break. 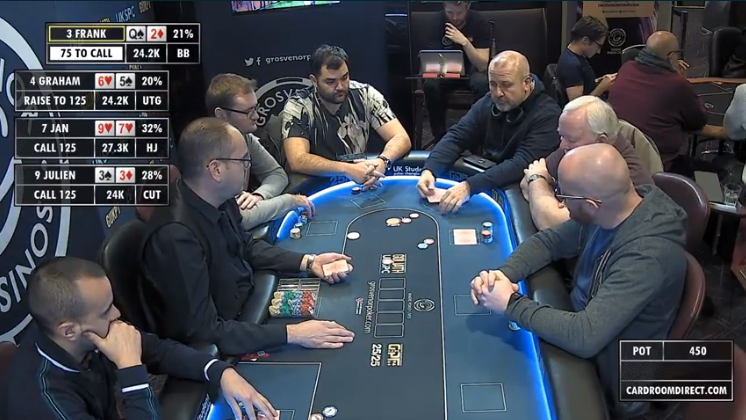 We’ve had some tech problems over the last couple of hours of play, but we are now back connected and ready to cover the main event which has half an hour left of level number 6. 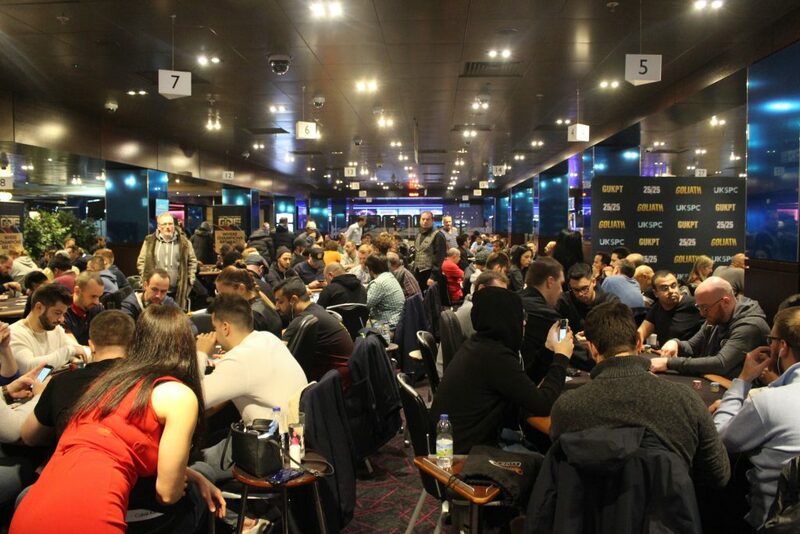 We have 120 entries for the day so far with late registration open for another 45 minutes. Dinner break now for the players as they take 15 minutes. 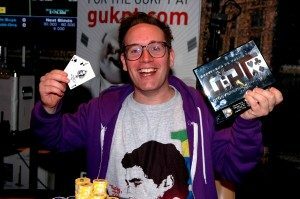 Over 100 entries so far for Day 1a of the GUKPT Grand Final. 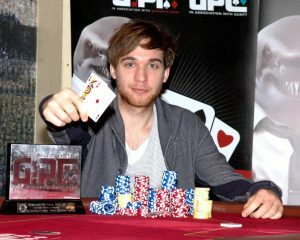 That’s already up on the 94 that played Day 1a last year with two levels left to late reg. This is the last level to play before the players go on a 60 minute dinner break. 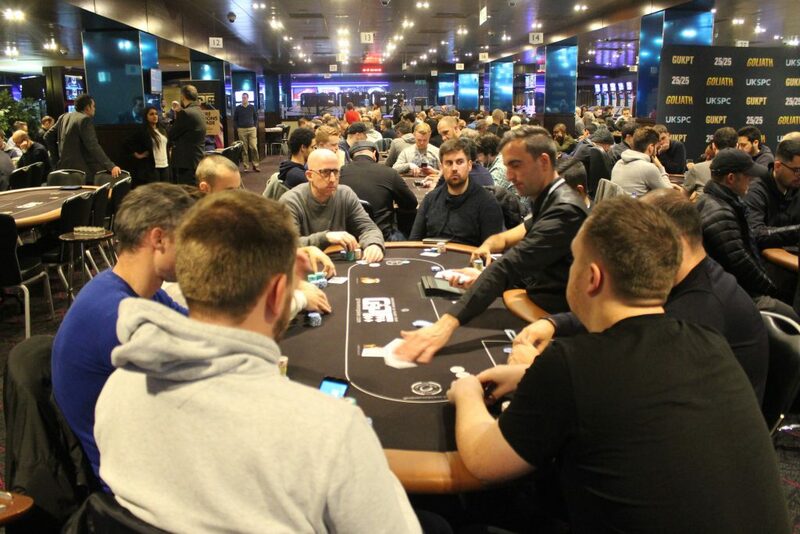 All the players above have bit the dust, they can re-enter if they wish as late registration is open for the first 6 levels today, up until 8:30pm. 72 players so far today. We will get a full list of all players up for you as soon as possible. No early action to speak of during the first level of play. 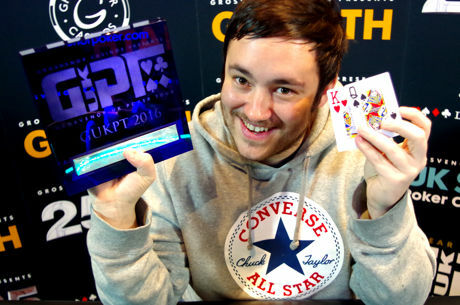 The Tower and Jay are now LIVE for Day 1a of the GUKPT Grand Final. You can watch all the action HERE!!! We have 41 entries so far today. The cards are in the air as the Grand Final begins! The blinds start at 25/50 with a 25,000 starting stack. 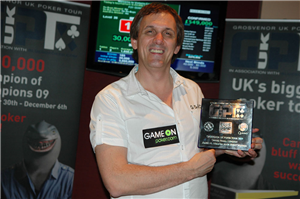 35 players so far with late registration open until 8:30pm. The players have been called in to take their seats. We should be underway within the next 5 minutes. 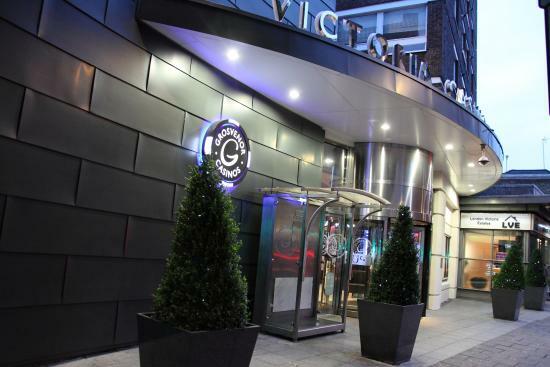 Good afternoon and welcome to The Poker Room in London, for the big one. 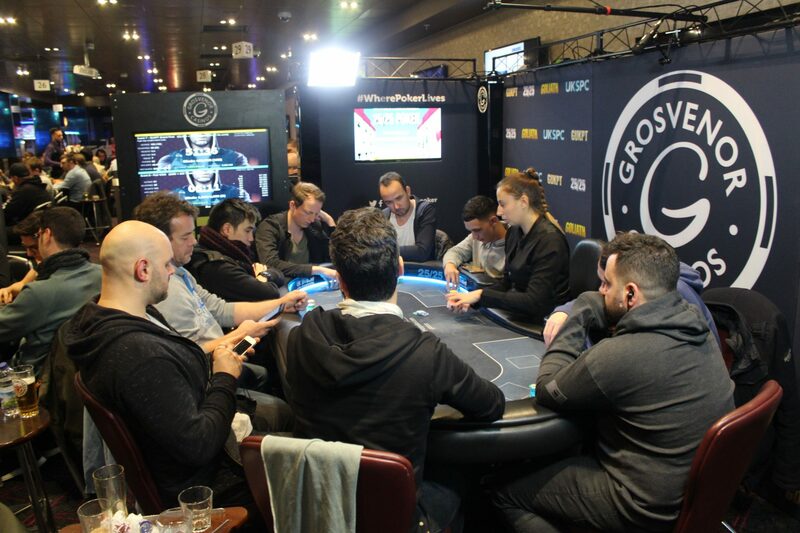 The 2018 Grand Final with a £400,000 Guarantee! 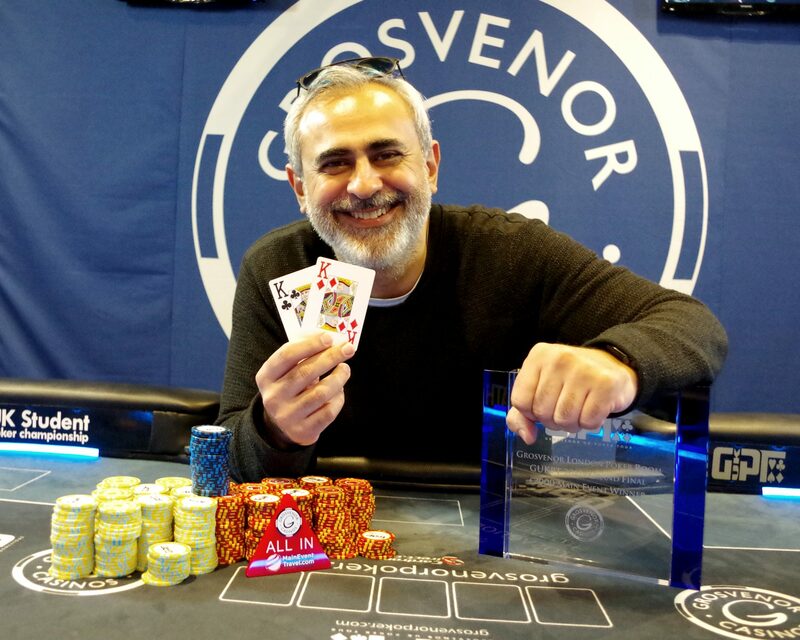 Last year this tournament collected a massive £608,000 with 304 entries turning up to play Grosvenors biggest event of the year. Ahmed Abdella took home the trophy and £89,000 after a five way deal! The tournament is a £2,000+£140 buy in and for their buy in the players will receive a 25,000 starting stack on a 60 minute clock. Ten levels will be played today and tomorrow, with Day 2 taking place Saturday and the final day Sunday. It should be a fantastic four days where Britains best turn out to play.